The Economist has a comprehensive report touching on many of the practical issues created by the rise of Piracy in the Indian Ocean. In the conclusion to the report, the report explains some of the reasons why there have not been more comprehensive efforts to address the problem. Equipment Articles could create a presumption of piracy for people found on a vessel less than a certain length, with engines of a certain horsepower, equipped with grappling hooks, boarding ladders, armed with RPGs and/or heavy machine guns, and/or far out at sea with obviously inadequate stores of food and water (which could suggest the skiff operates from a mothership). Boarding ladders, such as the one seen in the header to this blog, and grappling hooks permit pirates to quickly gain access to a ship. But, the practical problem with this suggestion is set forth in the Economist report: “If they are caught in the middle of an attack, the pirates have no hesitation throwing their weapons—typically AK47 machine guns and rocket-propelled-grenade launchers—and their scaling ladders overboard to destroy evidence of their intentions.” All that would be left is a skiff with a large engine and, if the pirates are clever, a fishing net. The Equipment Articles would be of questionable utility in such circumstances. But there is also a due process problem with such laws. International criminal law has adopted the beyond a reasonable doubt standard of proof. 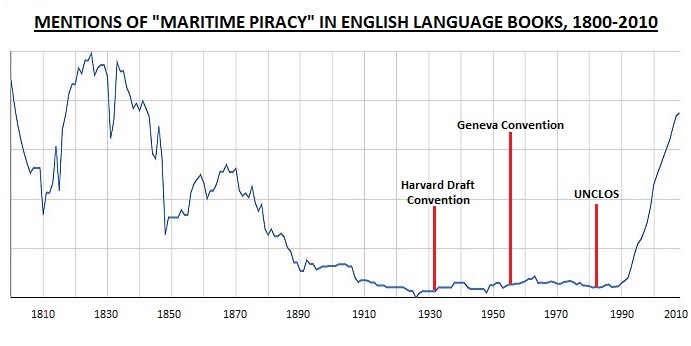 Equipment Articles appear to lower the burden of proof such that the prosecution of a pirate would only require prima facie evidence that a suspect intended to commit piracy. In other words, Equipment Articles put the onus on the suspect to disprove that they intended to engage in piracy. 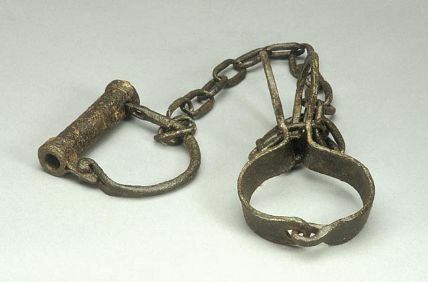 Alternatively, Professor Kontorovich notes that during the slavery era, the United States never enacted Equipment Articles, but instead considered the possession of equipment as circumstantial evidence of slavery. This latter use is more consonant with contemporary International Criminal Law practice. Short of catching Pirates as they attempt to board a ship or after they have already taken hostages, compiling sufficient evidence to prove piracy will continue to pose a problem. Voluntary complicity with a pirate crew was important to establishing guilt. Pirates exploited this loophole by pretending to conscript seamen who joined their ranks voluntarily. Since pirates did genuinely compel some seamen to join their companies, court officials considered the impressment defense plausible. In order to buttress the conscription defense, pirates needed some kind of corroboration. conscripts, real and pretend, asked their captured fellow sailors, who the pirates released, to advertise their impressment in popular London or New England newspapers. If authorities ever captured the pirates the “conscripts” sailed with, “conscripts” could use the newspaper ads verifying their forced status as evidence in their defense. An “impressment” or “conscription” defense is akin to a modern defence of duress, providing a justification or excuse because of the involuntary nature of the conduct. In the U.S., the defence must be proven by the defendant by a preponderance of the evidence. Therefore, the defendant must put forward some affirmative evidence that he was forced to perform the criminal act. a large number of foreign vessels illegally fishing in Somali waters and serious pollution caused by vessels discharging toxic waste. 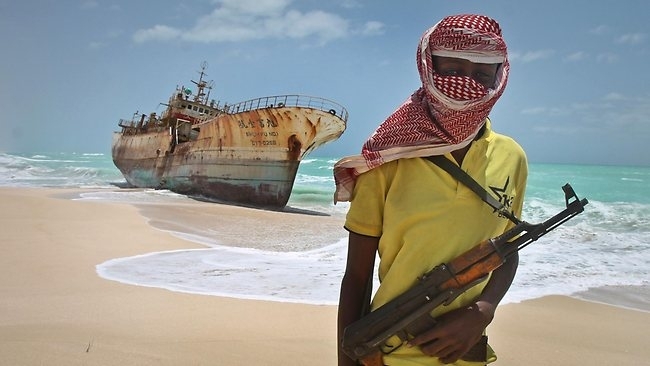 Heavily armed foreign boats have often tried to exploit the breakdown of law and order in Somalia since the overthrow of President Mohammed Siad Barre in 1991 by fishing in the rich Somali waters, thus depriving coastal communities of resources. Other support for this appears here. However, others argue that this is just a cheap excuse for those who voluntarily chose piracy. 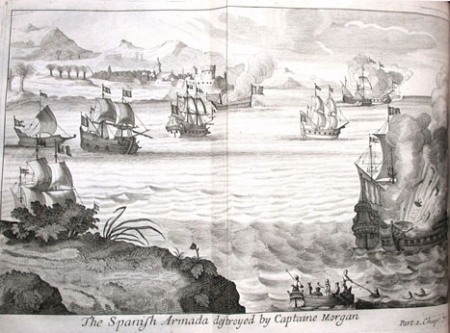 Regardless of its merits, suspected Somali pirates have already taken a page from another era. Now, where to publish that ad?